Despite being only relevantly new to Newcastle's music scene, the girls behind Good Grief (Bethany Dolbel on bass, vocals & Liz O’Brien on guitar & vocals) are already making their mark and finding their feet by playing at local markets & venues around town. The girls are even set to play at this years Steel City Music Presents: Bandapalooza VII at the Lass O'Gowrie in July. With the help of Sad Grrrls Club, an amazing record label & booking agency aimed at promoting gender diversity in the Australian music industry, these girls are being given the opportunity to hit centre-stage, avoid sidelines & take down the so-called 'boys-club' that often becomes the face of Newy's music scene. I completely love this mission. I say bring forth all the wom*n! Performing a range of covers & originals, such as their debut single 'To Hell With', Good Grief will be hitting the Not Just Grrrls stage with Teddy RK at Cooks Hill Book Store from 2pm. It will be a set and atmosphere you won't want to miss it. 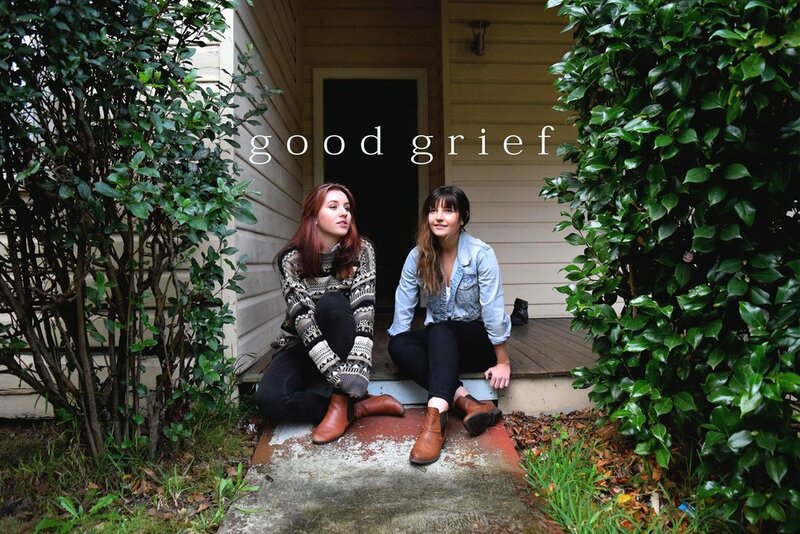 Good Grief: Folk, nostalgic, stripped-back acoustic. Lots of feels. Good Grief: Majority of our set will be original songs with the odd cover amongst it. A mix of sounds from light and upbeat to slow and sultry. As musicians/artists in Newcastle, what changes would you like to see occur in Newcastle? Do you think changes need to be made to Newy’s current music scene? Good Grief: NTL Landmarks, Lachlan X Morris, Tori Forsyth, Jen Buxton and Grace Turner. All of these artists are incredibly talented and supportive of other artists in the Newcastle music scene, plus they all have individual, unique sounds and lyrics. Must-see: The new Speers Point Dog Park for those who want some uplifting fluff balls in their life (seriously so cuuuute). There you have it! To check out more about Good Grief, you can find gig updates, new music and other goodies via their social links below. I also recommend you check Good Grief's set out at Winter Live: Unplugged on the 23rd of June!